As some of you might know, I taught mathematics for decades and am the author of The Words of Mathematics, a dictionary that the Mathematical Association of America has kept in print since that organization published it in 1994. Because of my math background, a friend of mine recently told me about a free smartphone app called PhotoMath and suggested that I write a review of it. As Portraits of Wildflowers is my main presence on the Internet, I’m posting the review here, with the understanding that readers interested in this blog’s normal subjects of nature photography and native plants may be surprised by the topic. On the other hand, it may be just what you’ve always wanted. 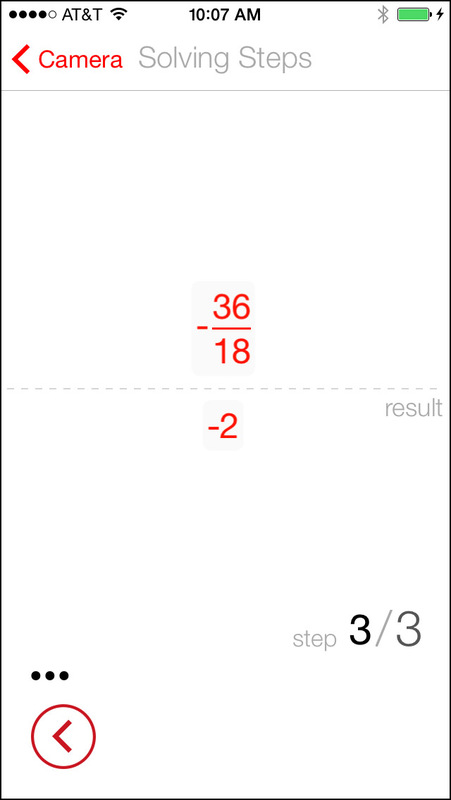 According to MicroBlink, the Croatian maker of PhotoMath, the app “uses a mobile phone camera to recognize mathematical expressions. It instantly solves a recognized expression, and displays step-by-step solution.” The program can currently handle arithmetical expressions that include fractions, decimals, powers and roots, and it can solve first-degree equations. It also recognizes some trigonometric, logarithmic, and exponential functions. 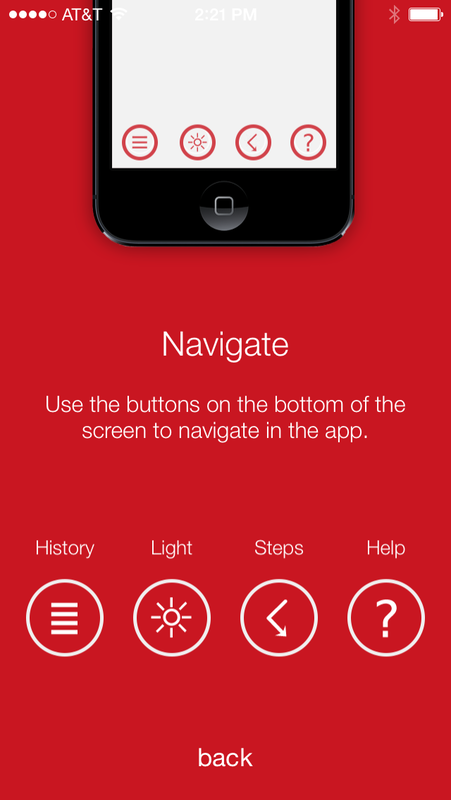 Once launched, the program brings up your phone’s camera screen and imposes a conspicuous red-cornered frame in the center of it. You maneuver your phone over the page of a book or worksheet (sorry, no handwritten expressions) and use the frame to isolate a problem. You can swipe horizontally or vertically with a finger to change the dimensions of the frame to make it better fit over the shape of the printed problem. For a long expression or equation, holding your phone in landscape orientation may be better than keeping it in portrait orientation. Most problems in schoolbooks and worksheets are numbered, so you have to be careful not to include the problem number in the frame. 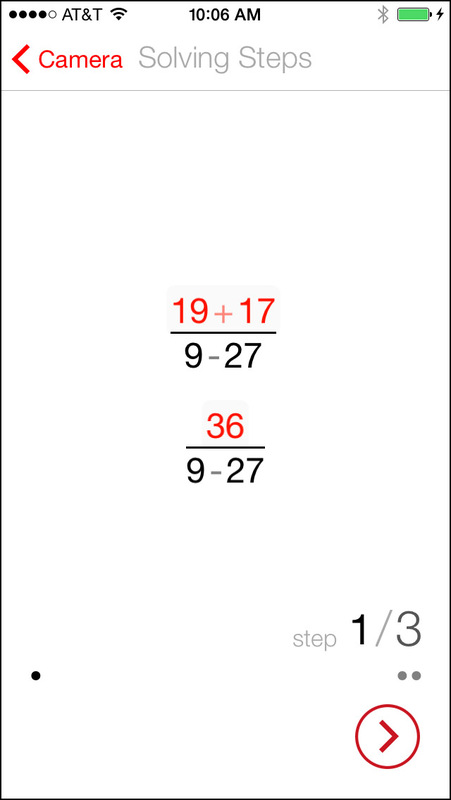 As soon as PhotoMath recognizes a framed problem, it emits a loud click and displays the answer in a small red cartouche centered at the base of the red frame. The answer can appear so quickly it seems like magic, and that’s certainly part of the program’s appeal. But wait, as cheesy television commercials are fond of saying, that’s not all: the lower portion of the screen displays a larger red cartouche inviting you to press to see the steps leading to the answer. To maintain continuity between steps, each new screen begins with what came last on the previous screen. The page for the last step in the working of a problem introduces a dotted line, below which the result appears. This is akin to your math teacher telling you to circle or box your answer at the end of a problem. Speaking of students and teachers, it struck me that the latter might worry about the former using PhotoMath to do homework assignments. Here’s what the website says about that: “Let’s be honest: many kids cheat anyway, and an app which solves math problems automatically won’t make this problem worse. However, PhotoMath can be really helpful to many children when they are stuck with their homework and there is no one around to help them to figure it out. If we can eliminate kids’ frustration at the point when they can’t do anything else but helplessly stare at the book, we’ll feel awesome. It’s as simple as that.” Well, perhaps not quite that simple, but you can decide for yourself. the app just sat there and did nothing. Not all users will understand that the lack of activity came from the fact that the equation is a contradiction (how can something be 1 more than itself?) and therefore has no solution. 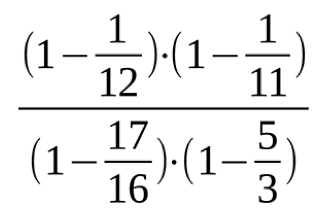 The program also did nothing when confronted with 9/0, which is undefined because no real number times the 0 in the denominator would make the 9 that’s in the numerator. The app likewise had no response to 0/0, which is undefined because any number times the 0 in the denominator would make the 0 that’s in the numerator. The PhotoMath website says the app handles basic trigonometric functions, so I tried cos (30°) and was baffled by a result of .540302 rather than the correct value of approximately .866. When I tried cos 30° without parentheses the program returned an “answer” of cos 1. Then I realized that the app had treated the degree symbol as the exponent zero: 30 to the power 0 is 1, and sure enough, the cosine of 1 radian is .540302. Apparently PhotoMath evaluates trigonometric functions only for arguments that are expressed in radians. 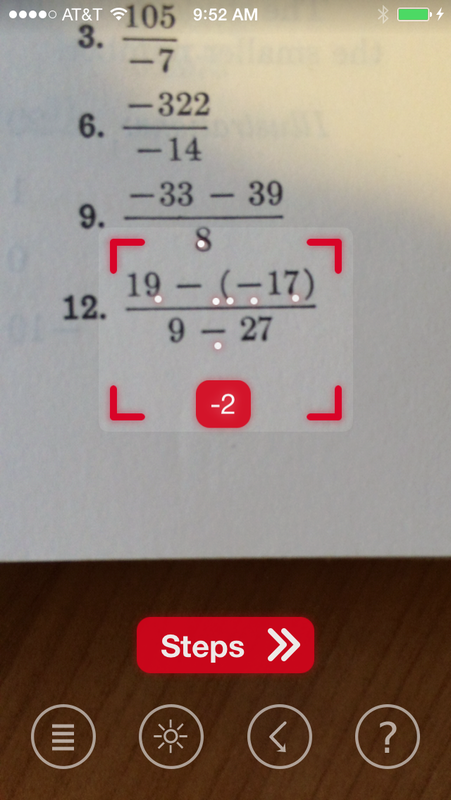 So PhotoMath can display e cubed but can’t recognize it via the camera. Strange. It’s also quite a limitation, because math textbooks almost always use an exponential form like e cubed rather than exp(3), which is more at home in the world of computer programming. 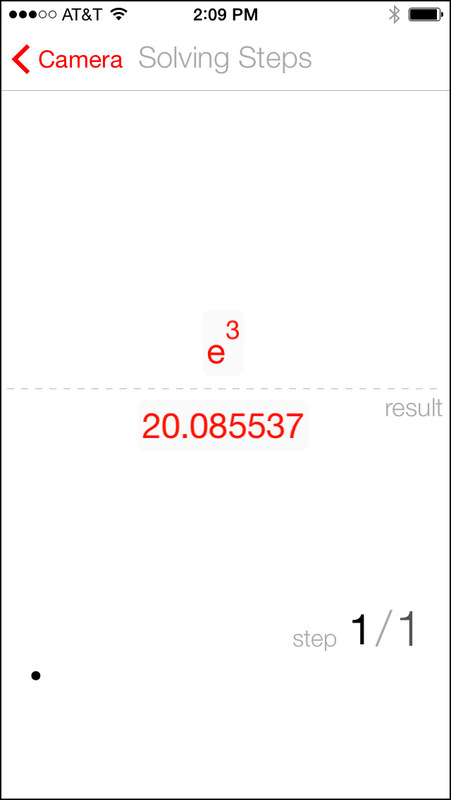 Just as important in mathematics as e is π, but PhotoMath apparently doesn’t recognize that special constant either, because when I aimed the camera at the expression π over 2, the app interpreted it as 71 over 2 and therefore mistakenly returned a value of 35 and a half. The PhotoMath website says the app does roots, but when I tried the cube root of 7 the program misread it as 3 times the square root of 7. When I tried the cube root of 1.331, the program misinterpreted the expression in the same way and gave an incorrect value of 3.461069; in one instance (I tried this expression several times), it even threw away the decimal point in 1.331 and came up with a false result ten times as large. 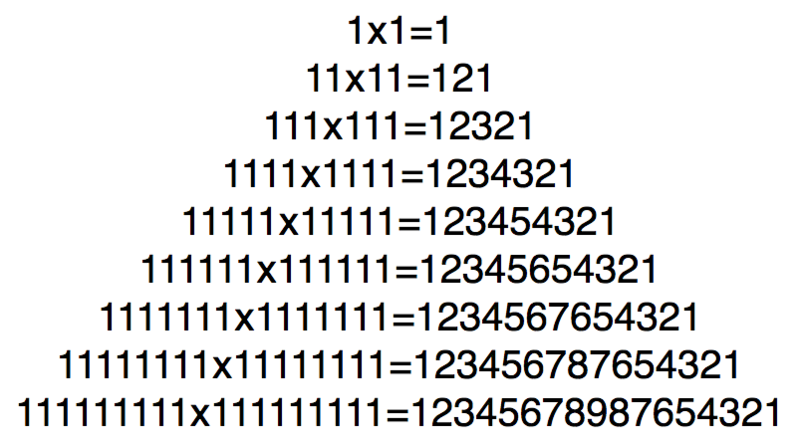 for which it returned the correct value of x = nine fourths. Systems of linear equations aren’t supported, however. The History button takes you to a list of recently read problems. I don’t know how many items the list can retain, but after trying out the program for a day I found that my list had more than 50 items in it. Tapping on an item brings back all the solving steps, so you can review them later. The Steps button brings up the steps in a problem that has just been solved. I assume the Light button is intended to turn on the phone’s light in case the page you’re aiming the camera at isn’t bright enough, but I never could get the light to come on with my iPhone 5 running the latest version of iOS 8. The Help button offers some very basic information about using the program. Given PhotoMath’s hit-and-miss record when I put it through its paces, I’m tempted to say caveat emptor, let the buyer beware, but this is a free app, so no money is at stake. Still, caution is in order, and users should examine results for plausibility: the cube root of 1.331 couldn’t possibly be the 3.46 that PhotoMath claimed, or any number more than a bit larger than 1 (in fact the cube root of 1.331 is exactly 1.1). A good strategy might be to look at all the steps PhotoMath offers as its justifications for an answer, because then any misinterpretation is likely to be obvious (like π being misread as 71). On October 23, 2014, the blog on the PhotoMath website glowingly announced that “the PhotoMath video on Vimeo has very quickly reached 2 million views. Our web page has over 9000 page views each minute, and the iOS app alone was downloaded more than 1.6M times in less than three days, becoming the top free app in most countries around the world.” That’s pretty impressive, and I encourage you to head over to PhotoMath and increase those numbers by trying out the program for yourself. 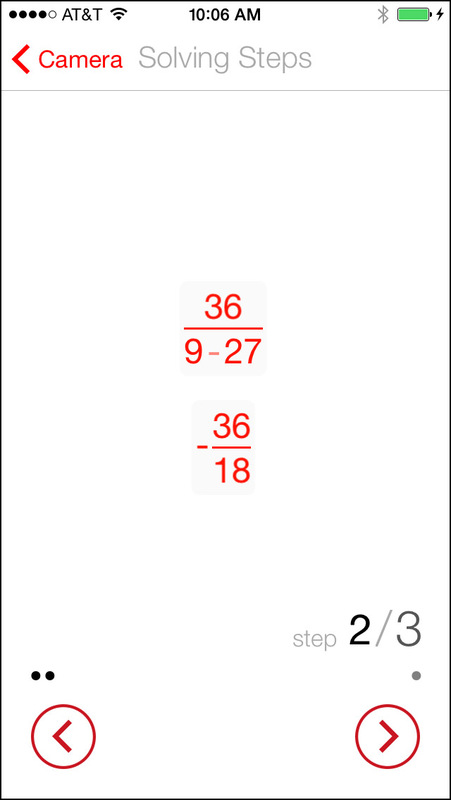 PhotoMath is currently at version 1.1.1 and is available for Apple (it requires iOS 7.0 or later; is compatible with iPhone, iPad, and iPod touch; is optimized for iPhone 5 and iPhone 6) and for Microsoft (Windows Phone 8 or 8.1). The makers of PhotoMath say that an eagerly awaited Android version should launch in early 2015. I’m sure you noticed something curious in the last post: the equivalent (rounded to the nearest whole degree) of Thursday’s warm high temperature of 82°F was 28°C, a number consisting of the same two digits but in reverse order. Some of you must have rushed to Twitter and Facebook to tell all your friends, who must have been thrilled to hear it. Ever alert math teachers would interrupt their classes with a question now: “Students, are there any other two-digit pairs of equivalent Fahrenheit ~ Celsius temperatures with reversed digits like that one?” What do you think, readers? All of you who read that post were probably too overwhelmed with emotion by the equivalent pair of 82°F and 28°C to do any further looking, and no answer to my question was ever forthcoming (or ever forthcame, for that matter). As you’ve all been waiting with bated (not baited) breath and have long since turned blue, I’d better tell you the answer. Yes, there is another reversed-digits pair of Fahrenheit ~ Celsius temperatures that are equivalent (when rounded to the nearest whole degree): 61°F and 16°C. Now go give a shout-out and spread the news to everyone you know. Tell ’em Steve sent you. You can also tell them that Steve sent you the photograph below so you wouldn’t feel bereft of a picture today. 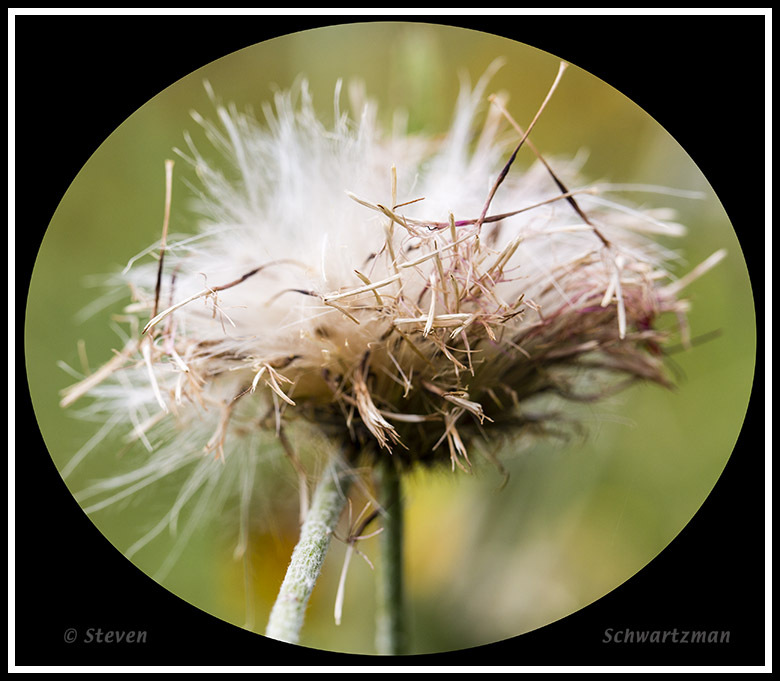 I hope arithmetic hasn’t made your head feel the way this Texas thistle head (Cirsium texanum) looks.